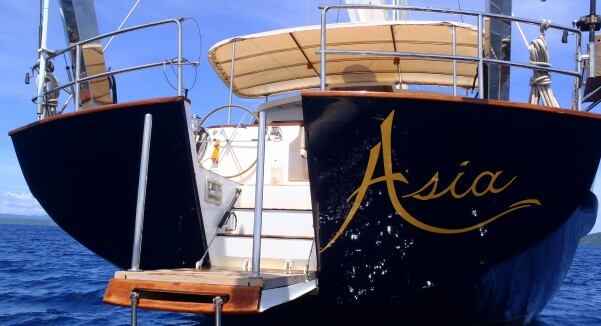 SY Asia is a luxury adventure sailing yacht available for charter in Burma's Mergui Archipelago as well as Indonesia's Bali, Lombok, Sumbawa, Komodo, Flores, Raja Ampat. The Captain of SY Asia is a highly experienced sailor and is very knowledgeable of the region with over 20 years of chartering in SE Asia waters. 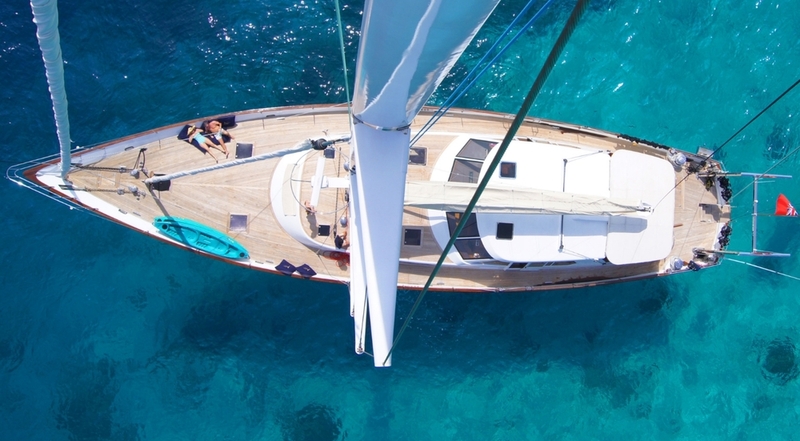 S/Y Asia has a cutter rig sloop designed for excellent sailing performance, S/Y Asia is superbly equipped with the latest in navigational, satellite communications, entertainment and safety equipment and insured for charter with Lloyd’s of London. The yacht is opulently finished in Burmese teak and combines luxurious leather textiles in the saloon with Asian-inspired furnishings, artwork and accessories. Thai silks and art provide tasteful splashes of colour to the interior décor. The yacht is very spacious both on deck as well as in the interior. SY Asia has a dedicated crew of 5 including an ashore boat manager, and the captain/engineer, deckhand, a private chef and a hostess aboard the yacht. SY Asia provides accommodation for up to 10 guests in 5 ensuite staterooms. 2 staterooms have king-size double beds , 2 staterooms can be configured with either twin beds or king size double beds to suit the guest requirements, and 1 stateroom has twin beds. Each cabin has individual air-con controls, 220V power sockets, LCD screens, wardrobe and drawers, not to mention its own en-suite bathroom. 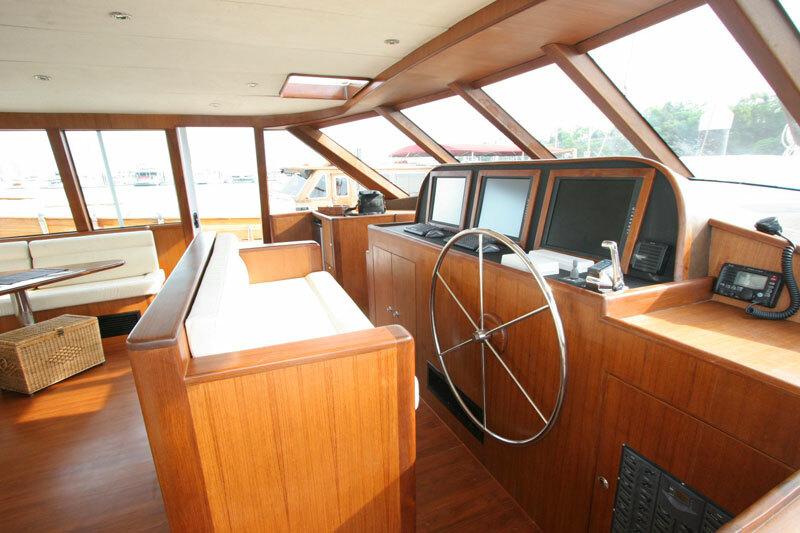 Guests can enjoy relaxing in the beautifully crafted teak pilothouse with its 360-degree views of the outdoors, or lounge in the saloon with its plush leather seating and large picture windows. SY Asia is fully air-conditioned and well laid out for charter with plenty of space, such as a huge teak deck, and a large, comfortable, shaded cockpit area with twin dining tables that seats 10 guests. The spacious saloon comes complete with a large dining table, a lounge, an office area with PC, broadband internet connection and a fully stocked wet bar. SY Asia is well equipped for snorkelling, scuba diving, fishing, kayaking, BBQs, beach picnics, watching DVDs and satellite TV or just lazing about reading a good book. 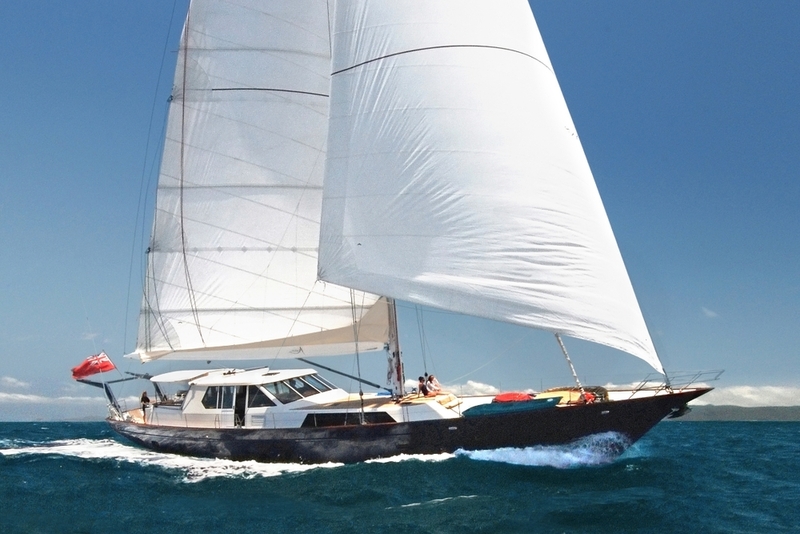 SY Asia was built in 2009 and spans 29m with a beam of 7.5m and a draft of 2.9m. 5 cabins accommodate up to 10 guests. She cruises at a maximum speed of 12 knots.